The United Nations’ Commission on the Status of Women focussed its session this year on social protection systems, access to public services and sustainable infrastructure for gender equality and the empowerment of women and girls. 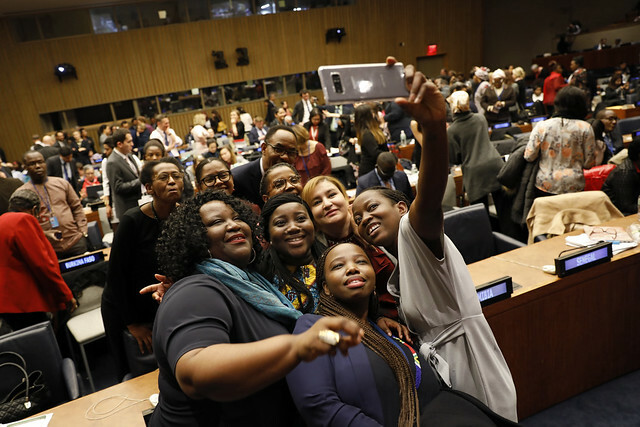 One of the largest events in the United Nations calendar, with over 2,000 delegates and 5,000 civil society actors participating this year, the 63rd annual session of ‘CSW63’ wrapped up on 22 March. Most years, CSW adopts agreed conclusions and forms a detailed document which provides a basis for countries to formulate their own domestic positions on the rights of women and girls. An unedited version of the conclusions is available here. The International Institute for Sustainable Development has produced a short overview the conclusions from this year’s negotiations and Broad Agenda has analysed the adoption of new language on the gender dimension of infrastructure. CSW has brought out some unusual global alliances in the past few years. Foreign Policy looked at the US’s position, noting that the it sidelined traditionally like-minded countries to align itself with nations in the Arabian Gulf and Africa on women’s rights, particularly on issues relating to sexual and reproductive health. There has been some other excellent analysis by the Guardian and for in-depth commentary on the actual negotiation process this year, PassBlue has published a piece with insights from delegates on the ground. What’s the best way to implement the WPS agenda? 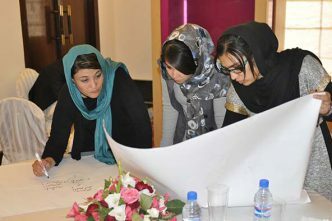 National action plans are an important framework used by states and the international community to uphold their commitment to UNSCR 1325 and to improve gender equality. So far, 82 countries have adopted such plans, with Armenia becoming the most recent country to do so on 19 March. But what makes for an effective national action plan was a key question raised by Miki Jacevic, vice-chair of the Institute for Inclusive Security in a recent Strategist piece highlighting that although some states may seem to be making positive steps in adopting these plans, it’s hard to enforce their implementation. In another article, Louise Allen also says there’s much work to be done to promote the WPS agenda. UN General Assembly President María Espinosa Garcés warned CSW63 that there had been a ‘serious regression’ in the political power of women across the world. The proportion of women in top-level leadership has decreased from 7.2% of elected heads of state to 6.6%. If overall trends continue, gender parity will only be reached in 107 years. Difficulties implementing the WPS agenda may indicate the need to reframe the debate. 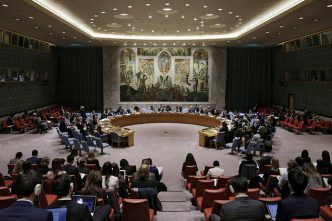 Professor Christine Chinkin suggests UNSCR1325 should be thought of not just as a means to reduce the impact of war on women, but as a tool to end war altogether. 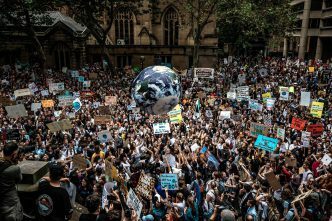 After the terrorist attack in Christchurch, researchers from the Monash Gender, Peace and Security Centre re-emphasised the need for gendered analysis of terrorism and violent extremism. Importantly, they highlight in a number of their case studies that there’s a stronger link between violence against women and violent extremism than between religion and violent extremism. This research shows the need to shift how we understand and analyse terrorist activity. In celebration of International Women’s Day, this article in the New York Times explores the lives of women who served in the Office of Strategic Studies, which later became the Central Intelligence Agency. During World War 2, one third of OSS operatives were women. 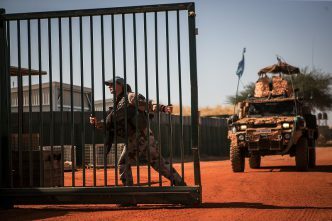 The story explores the experiences of two women: Virginia Stuart, who worked for the Secret Intelligence Branch in Washington, Italy, Egypt and China, and Marion A Frieswyk, the last surviving member of the organisation’s mapping division. Elsewhere, defence forces have been steadily increasing women’s participation. In Australia, trends show in the past 12 months, female participation has risen by 3.6%. The South African National Defence Force now has six female major generals out of 40 and 46 women with the rank of brigadier general out of 172. In India, the Ministry of Defence has started granting permanent commission to women officers in the armed forces for the first time. This article highlights the diverse challenges facing women in Nepal since the signing of the 2006 peace agreement which ended the Nepalese Civil War. It says there needs to be greater recognition of the effects of ethnicity, caste, religion, language, indigeneity, marital status, geographical location and access to health and education. In civil society, elite women take up many roles and gender quotas are mostly filled by upper-caste women. The article also suggests steps which may improve the rights and participation of diverse women, including specific funding streams for indigenous women in civil society groups, amending the 2015 constitution to recognise the diversity of women and training in local languages. In a previous edition of this wrap, we looked at the lack of women’s voices in peace processes. Writing for the International Peace Institute’s Global Observatory, Masooma Rahmaty offers an in-depth analysis of this issue in the context of Afghanistan. In March, ASPI hosted an all-female delegation from Afghanistan and interviewed them on the inclusion of women in societal decision-making and women acting as agents of change. You can listen to the podcast here. Women, War and Peace II is a new documentary series highlighting the role of women in some of the biggest international events in recent history. It examines an all-female political party in Northern Ireland, a female Egyptian perspective on the Arab Spring, non-violent movements during the 1987 Intifada in Palestine and an all-female peacekeeping unit deployed in Haiti. 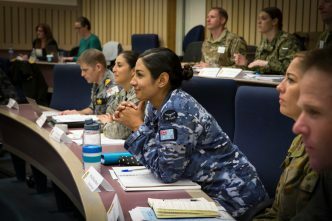 The WPS Strategist series is underway again, with articles exploring a diverse range of topics such as gender and natural resource allocation, how to operationalise the WPS agenda and drawing a stronger link between climate change and the WPS agenda. You can follow the series here. Genevieve Feely, Luke Courtois, Rhys De Wilde and Mali Walker are research interns at ASPI. Image courtesy of UN Women on Flickr.